Chatguides.com is a new company providing travel service to tourists visiting Iceland. 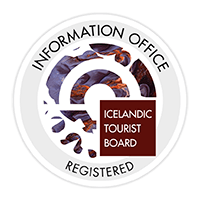 Our mission is to be your PERSONAL guide before and during your stay in Iceland. Every travel-related need you have during your stay is our business, we want your stay in Iceland to be a flawless experience. A beta-version of our service will be available until January 1, 2017 when we plan for our first major upgrade. We use live-chat platform for all communications. It is an easy tool, constantly developing and available to everyone, everywhere. The service is free of charge for the users. We get a booking fee for all services booked, paid by hotels, car rentals or other service providers. Our booking fee does not affect the price of services booked at Chatguides. The service is free of charge for the users. We get a booking fee for all services booked, paid by hotels, car rentals or other service providers. Our booking fee does not affect the price of services booked at Chatguides. Chatguide is an information and booking service. Information are provided based on personal experience, publicly available information and information provided by our booking partners. Our guides use the above resources to meet your need as a visitor in any given country we operate in. Chatguides does not charge users for providing information or booking services. The use of the service is free of charge. Partner companies providing tours, car rental services, accommodation or other services pay a booking fee to Chatguides. This is a moderate fee that does not affect the final price of the product. Chatguides is not liable for any accidents, losses, injuries, damages, delays, expenses or other possible misfortune in relation to tours or other services booked by Chatguides. However, in case of such misfortune we ask you to contact us. We will constantly review our partner contracts based on quality of service. As the terms and conditions of our partners may vary, please review the terms and conditions of each operator carefully. Such terms and conditions are available in vouchers, confirmation letters or emails received following a booking. Service booked by Chatguides may be offered subject to changes made by our partners. Such changes may include date, timing, price, inclusions, coverage or other issues. Chatguides is not liable for any losses, expenses or other possible misfortune in relation to such changes. Our partners have different cancellation policy. Please note the details of your booking in regard to such policy. A full payment of any individual service reserved is charged to your credit card. Other terms can be negotiated for group bookings. Please discuss this with our guides.